Thanks for checking, Tonto. The Flying Hcp was just careless cutting and pasting. I've corrected it now to the Flying Stakes. Barbelle carried 8st 7lb in the 1872 Cup, but what is amazing by 2018 standards is that she switched from the 2 miles of the Cup to the 7 furlongs of the Flying Stakes 2 days later and she did that 4 seasons in a row. Over the 4 days of the 1872 Flemington Spring Carnival, she started 6 times. I think she deserves a place in the top 100. Her record wasn't outstanding but it was a bit better than I thought it would be. Her Doncaster/Sydney Cup double is unique (and she won them both easily). Frances Tressady was nowhere near as good. I don't think anyone wants Frances in the Top 100. When Authorized initially mentioned her he made a point of saying she was not worthy but I just included every horse mentioned along the way as a matter of policy. I think I added Barbelle to the list because I had named her the Horse of the Season for 1870. As some others have commented on, it's interesting how there were a number of high quality mares and fillies from c.1895-1910 or so, then quite a dearth until later in the 20th century. Winx, Black Caviar, Sunline and Makybe Diva along with Wakeful would be in many top 5s. Statistically, that's highly unusual to have the very best in a 20 year period out of 160 or so years. JWH, I corrected it when Tonto pointed it out. Originally, I had listed 2 Flying Handicaps and 1 Flying Stakes. Barbelle, dropping back 4 years in a row from the 2 miles of the Cup to a 7 furlong race 2 days later and 3 times winning, was a pretty impressive achievement. I thought the Flying Stakes was 7 furlongs too, and it was for a time (1887 to 1907), but when Barbelle won her hat trick it was 6 furlongs. What I would like to know is whether the 6 furlong course was the straight six we are familiar with or did they start it at the top of the course by the river ? I know the straight six wasn't an original feature of the course and training grounds occupied the area. Following the fall shortly after the start of the first Melbourne Cup the chute was extended into the training grounds for the Cup start to provide a straight run to the winning post but that chute wasn't extended to 6 furlongs until the 1870's (the Flying Stakes began in 1868). I was always under the impression that the Newmarket was inaugurated (1874) the same season that the straight six was opened and Barbelle's hattrick was in 1870-1871-1872. Do any of you champions have the full form for the immortal Pablos Pulse ? He is getting plenty of airtime today due to his Warwick Stakes exploits as a maiden, I am curious as to his actually form leading up to the race. We all know that sometimes "maiden" means very little as far as the horse class is concerned. Authorized, Barry Collier @turfhistory on twitter, posted an extract from the Sunday Press from 1987 which mentioned Pablo's Pulse had 4 starts for one second before the Warwick Stakes. Barry Collier's twitter has a fantastic selection of historic racing photos and newspaper clippings including plenty of trotting and pacing material, very worthwhile following. 60 minutes before the race Ron Dufficy stood down due to influenza and the ride went to Newcastle battler Jamie de Belin. Pablo's Pulse was trained by 22 year old Craig Oldfield. He obviously expected something of the 3YO maiden as he started him three times in the week including the Gosford Winfield Classic on the Thursday before the Warwick. I must say it was a very ordinary Warwick Stakes, little more than a Welter field beyond the odds on favourite Campaign King. Terry Page is reported to have laid a bet of $50,000 to $50. In Melbourne on the same day Rubiton, one of the most under rated champions of his times, won the Manikato Stakes at the start of his spectacular spring campaign. Pablo's Pulse never won another race. 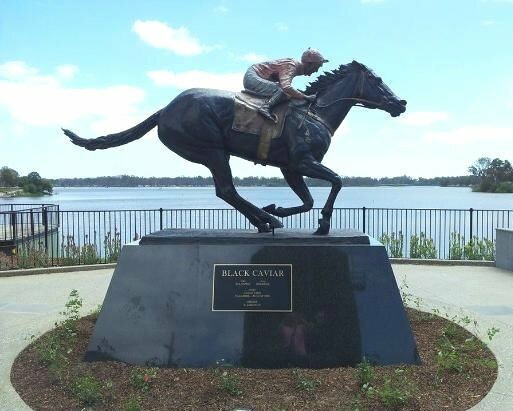 He finished second to Campaign King in the Chelmsford at his following start and then his form went south and he ended his career running last at Taree on 29 October 1994 with 41 starts 1 win 4 seconds 3 thirds and $ 57630 of which $41750 came from his Warwick Stakes win. After Winx' 30th win, here's a list of Australasian horses from c.1860 with at least 20 wins and at least a couple of G1s or principal race victories. Any additions or amendments appreciated. Tatua (1959) 26 Aust - ? Nope. All my guesses are already included. I thought Dandy Kid might be the spoiler - but no, he 'only' won 19. It is a very interesting list indeed. Too often too much praise is heaped on the flash in the pans and not enough on those warriors that make winning a habit season after season. What about Tiny's Finito ? He never won a group 1 but he did win a lot of races including 7 listed races and a group 3. Wily, At Sea had 17 wins, including 7 G2s. That's according to an online Bloodstock catalogue. They'll often list total wins and group placings. It's hard to think of another horse with so many G2s and no G1s. Tiny's Finito had 40 wins from 83 starts. His record is at http://www.racingnsw.com.au/ That's a pretty impressive winning percentage no matter what class. He went round over 8 seasons. You're right, Tonto, there are some great old names which came back season after season but there but so few from this century. 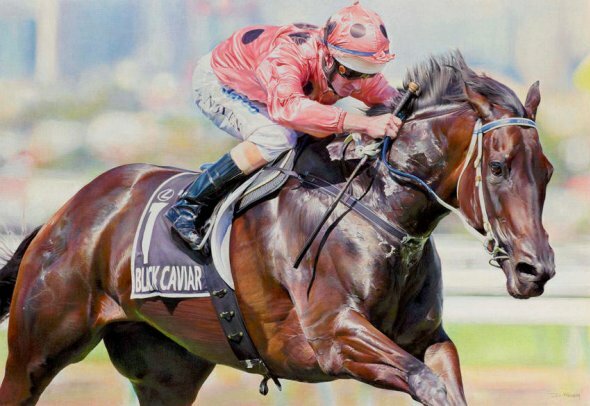 Lonhro might end up being the last high quality stallion to get 20 wins. Thanks. He was my 4th great love. Here is the form snippet for Saturday 28th August 1976 for Doomben. At this stage, Blue's Finito is about to have his seventeenth start in the Airport Flying, he had never missed a place. Unfortunately they did not publish the number of starts, wins, 2nds, etc. in the form guide in those days. I have updated Winx record and also added a career win comparison and international earnings comparison. Found an article from Sept 1968 (50 years ago!!) describing Tobin Bronze's (not so successful) US campaign. The United Nations Hcp was Tobin Bronze third start back with Heagney after C Whittingham had been given the flick. I am uncertain of the details of the 2 previous. I assume he won his previous start at Atlantic City and I have no idea where he ran the start before that but it could have been Atlantic City. The Canberra Times of 13 Sept (p18) also covered this race. Dr Fager won horse of the year in 1968 (18 career wins from 22 starts) and Fort Marcy (21 career wins from 75 starts was co-horse of the year two years later (also 2 x DC International wins) so it was always going to be tough for Tobin Bronze. When I was in LA in the early 1990s I noticed that in the LA Times form guide his name cropped up as the sire of dams of several horses running which I thought surprising given that his stud career started in 1969 and he did not win a big name race in the US. his spot (3rd) due to a protest. I could be wrong. I do recall he was fairly well beaten. This means nothing to me knowing the drug history of U.S horseracing so who really knows? Fager always looked like a drug horse to me.